Liven up your kid's bedroom with the Kaleidoscope 4-Drawer Bedroom Chest. This colorful chest is designed with both you and your child in mind. It features a ruby red, light slate grey, light blue and an indigo blue drawer, along with contrasting white wooden knobs and a white stipple finish on the remaining surfaces. 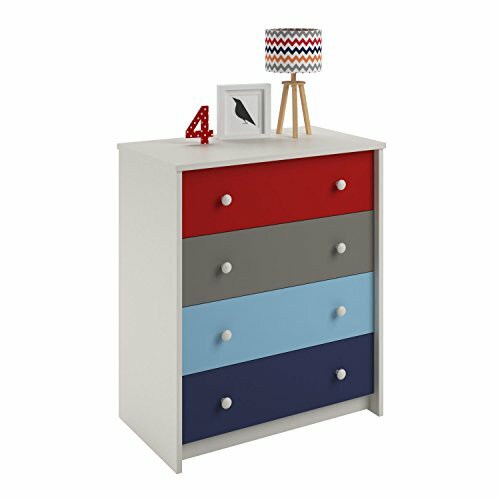 Your child will love the kid-friendly design, while you will appreciate the spacious storage drawers to keep his room tidy. Assembly Required.